Fashion illustrations inspired by Brianna of Portland, Maine street fashion blog, Maine Streets. 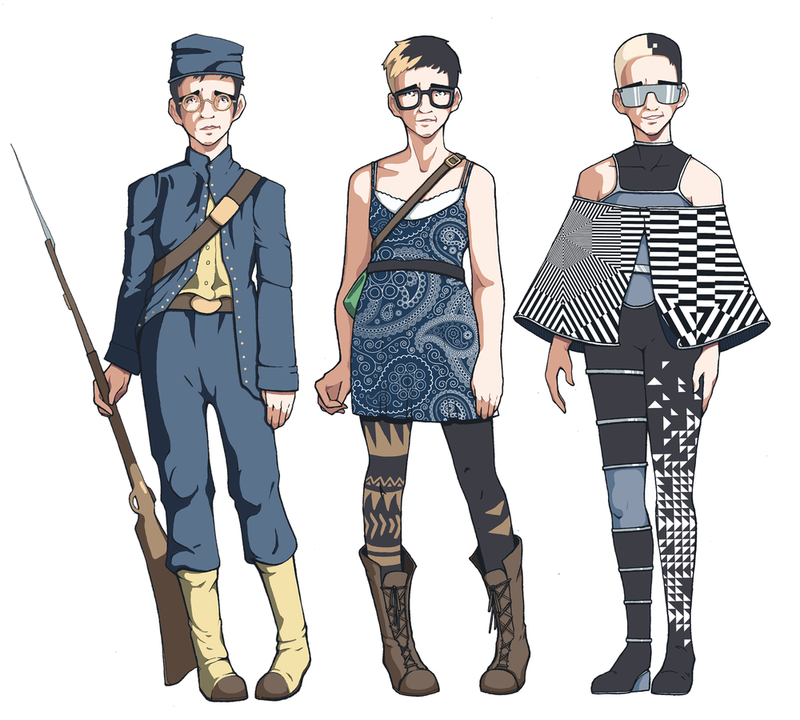 Inspired by her androgynous appearance I reimagined her past self as a civil war soldier. Taking inspiration from her graphic flair I created a far off future version of Brianna wearing an optical illusion form of urban camouflage.